Local officials have quietly thrown their weight behind a plan to build a new neighborhood above the highway. For the past month, a debate has raged over whether to widen Interstate 5 at the Rose Quarter. In the past week, another idea has taken hold: Bury it. It's an old idea, resurrected. For more than two decades, a succession of Portland politicians has pledged to build residential and shopping districts above the interstate highways that cut through downtown and remain monuments to a car-loving era. But those promises ran head-on into the huge public expenditure needed to fulfill them. This time may be different, because capping the highway could provide a route around the gridlock that has stalled the I-5 Rose Quarter project after criticism from a broad coalition of Portland leaders and activists. Concerns about widening I-5 in the Rose Quarter—which would add a continuous third lane in each direction from I-405 to I-84—have mounted as a comment period on the project ended April 1. So last week, local elected officials quietly threw their weight behind a alternative: making the highway literally disappear when it reaches the Rose Quarter. 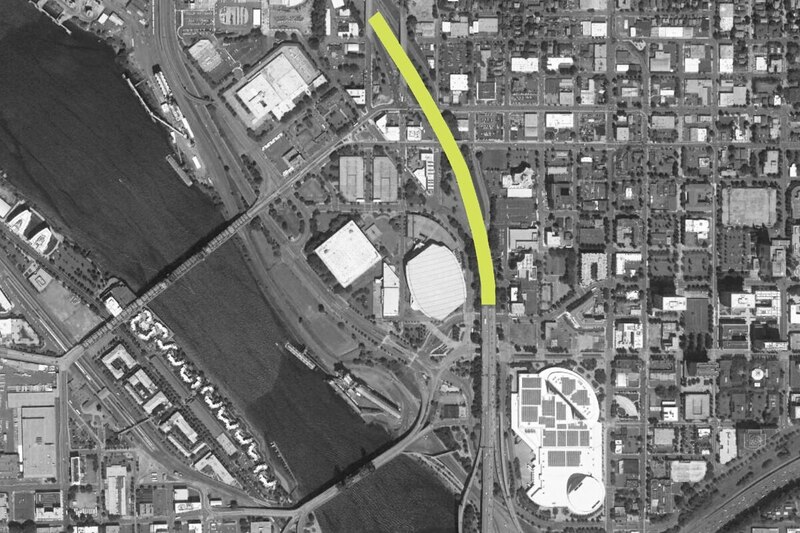 "Whatever happens in the Rose Quarter, it must account for the history of the construction of Interstate 5, take meaningful steps to repair the damage that construction caused and offer environmental, social and economic justice to Portland's Black community," Mayor Ted Wheeler and Metro President Lynn Peterson wrote in an April 4 letter to the chairwoman of the Oregon Transportation Commission, which guides state policy on highways. That letter, first reported April 5 by WW, is carefully worded. But it lends the support of elected officials to a project called Albina Vision—which would cap Interstate 5, then build a new neighborhood on top of the highway. Here's how the pieces fit together. The dream of burying Portland's highways dates back decades. In 1998, Mayor Vera Katz announced a vision for capping Interstate 405 as it cuts through the westside of the city. In 2012, Mayor Sam Adams floated a study to tunnel Interstate 5 under the eastside along the Willamette River. And two years ago, in his first state of the city address, Wheeler championed a plan to bury I-5 all along the eastside. Meanwhile, other cities jumped ahead of Portland by burying their interstates. Seattle just completed a decadelong, $3.3 billion replacement of an elevated highway. That same route is now a tunnel underneath downtown Seattle. Peterson and Wheeler's letter cites the examples of "truss-hung retail space on the Interstate 80 cap in Reno, or more robust engineering like Margaret Hance Park above Interstate 10 in Phoenix." In Portland, a 2005 analysis by a committee led by Nohad Toulan, then dean emeritus of Portland State University's College of Urban Affairs, suggested burying the whole I-5/I-405 loop in a tunnel, at a cost of between $3.5 billion and $5.8 billion. "With land pretty expensive, the caps become pretty interesting," says Patricia Gardner, a former neighborhood association leader in Goose Hollow and the Pearl District who sat on a succession of city committees starting in the '90s to study the idea. "There's no reason why we shouldn't be building over freeway. It bifurcates our city on both sides. It's been done a lot and successfully and around the world." The idea of freeway caps is gaining new traction because it could rectify a long-standing racial injustice. In the 1960s, the construction of I-5 demolished Lower Albina, a black neighborhood that stood in the way. As the Oregon Department of Transportation weighs how to address community concerns about widening the highway, there's a growing consensus that the project needs to take greater care to undo what the construction of the highway wrought in the first place. That push is led by local nonprofit Albina Vision Trust, whose chairwoman, Rukaiyah Adams, has become a force behind the scenes in the city's politics and a champion for African American neighborhood restoration. Albina Vision Trust is looking to create a new, diverse neighborhood over the next half-century that would include housing and a park along the waterfront alongside existing entertainment venues like Veterans Memorial Coliseum. Adams is championing a cap over the highway as it goes through the Rose Quarter from Northeast Multnomah Street to North Flint Avenue—a nine-block stretch that would link the Lloyd District to Moda Center in one unbroken neighborhood. For a couple of years, Albina Vision has been asking ODOT how much it would cost to build caps over the highway, with no real response. "ODOT has not carried out any significant studies," says spokesman Don Hamilton. Albina Vision is encouraged by the new support from Wheeler and Peterson, Adams tells WW. "Portland is special," she says. "What starts out as a discussion about a transportation issue quickly expands into an exchange of ideas about how a modern transportation system can help us realize a better, more sustainable community—that's why we love this place." The current proposal to add a lane to I-5 and build modest caps over the highway was given roughly $450 million in funding in the Legislature's 2017 transportation package. That would pay for a patchwork of highway lids that could support two-story buildings. Albina Vision wants caps that would support six-story buildings, which Adams says are necessary to knit the neighborhood back together. ODOT says it has not analyzed the cost of such caps. And Gov. Kate Brown's office declines to say whether she supports increased funding for highway lids. "The governor expects [ODOT] to continue to focus on listening to and understanding Oregonians' views on this project," says Brown spokeswoman Kate Kondayen. But Peterson, the Metro Council president, expects to go to voters with a multibillion-dollar transportation measure in 2020. That provides an opening for another pot of money. The Rose Quarter project is included on a preliminary list of projects by a committee advising Metro on the ballot measure. Peterson tells WW that Metro doesn't typically spend money on interstate highways. "But connections to the interstates are definitely part of the regional conversation," she says. 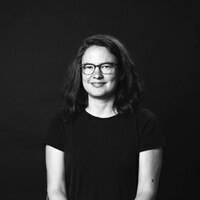 "I'm interested in conversations about using regional resources to help support the health of communities around the Portland region, particularly in areas that have faced historic injustice." Including highway lids in a ballot measure will require persuading the public. Not everyone will be convinced, even those who support Albina Vision and burying I-5. "Capping the freeway is never a bad idea because they're unsightly," says architect George Crandall, who has successfully opposed ODOT projects before—but adds it wouldn't win his support for the Rose Quarter project, given climate change. "Expanding freeways is not a good idea. It is counter to everything we should be doing and thinking about."